The southern most crossing on the branch as the line crosses Foxton Road. Looking south this view shows the lifted reception sidings. 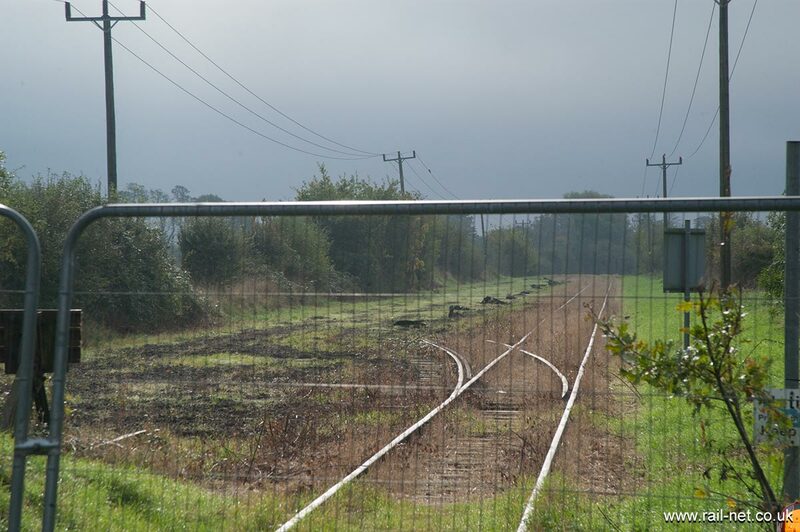 Although a single track branch off the Hitchin to Cambridge branch the line originally split into 3 roads here so trains could be split and worked up to/from the Barrington Works.